a world of well-being in Brittany! Discover a unique Thalasso therapy centre at a hotel with luxuriant, verdant surroundings... Walk through the door and feel a weight lift from your shoulders as you admire the handsome organic and mineral interiors, stylish furnishings and wooden ceilings. Here, everything has been designed on a human scale. Our dedicated team of professionals are here to advise and share their expertise with you. For personalized treatments, head to one of the twenty individual booths, and slip into a haven of well-being. 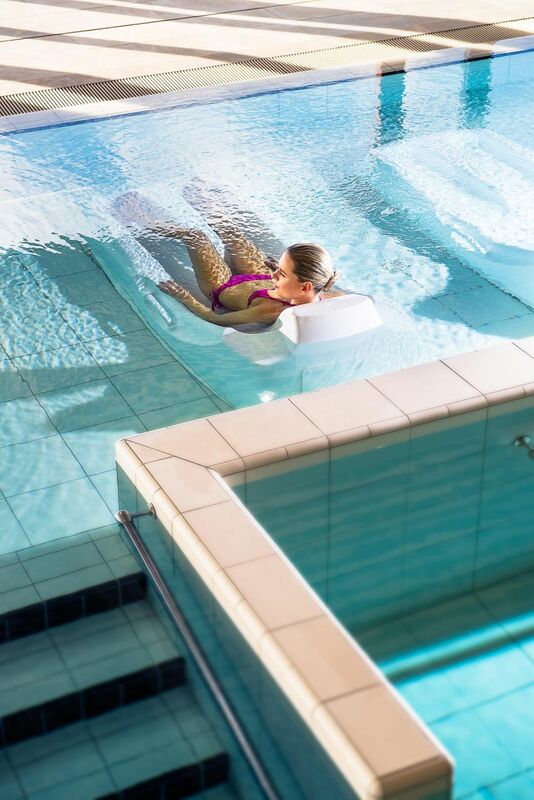 Discover the marine spa which, behind wide bay windows, offers a range of aquatic facilities, from massaging water jets to the jacuzzi, bubble deck chairs, and resistance jets in its two, heated sea-water pools. 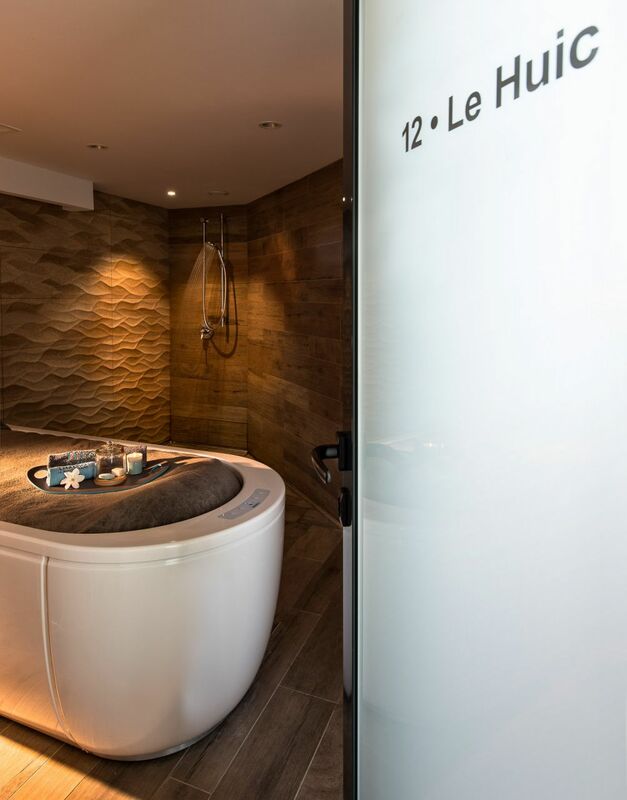 Above the spa, the glass sauna will help you release tension with its dry heat and its breath-taking view of the sea. 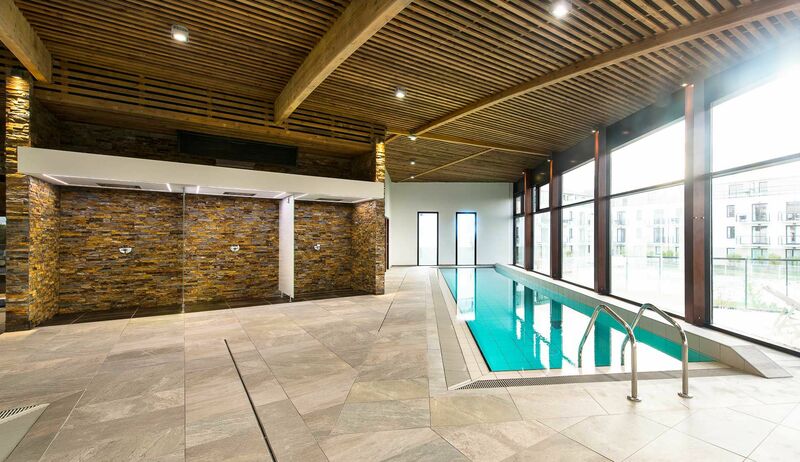 You can continue your relaxation session in the steam room, the herbal tea room, or if you want to get active, the gym. 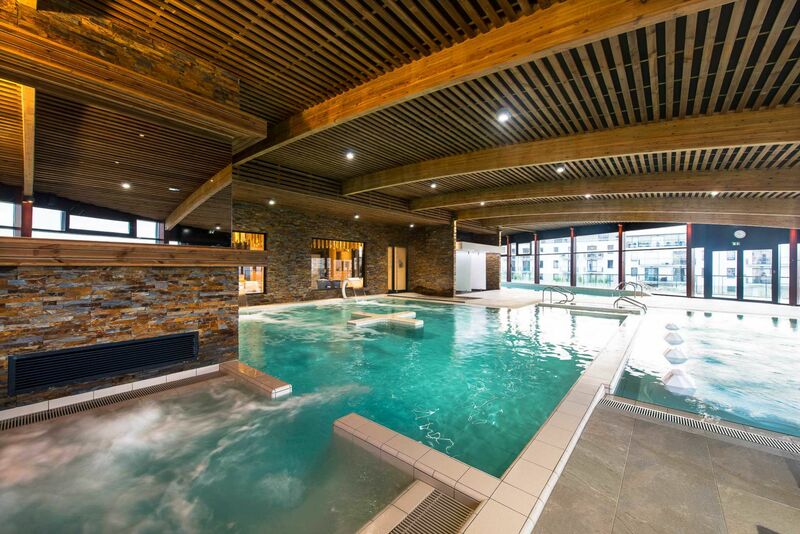 The Thalasso Concarneau Marine Spa is open Monday to Sunday from 9am to 1pm and from 2.30pm to 6pm for guests who have booked treatments. Please come to the reception desk at the Resort to pick up bathrobes and a pair of sandals. The spa is open to persons aged 16 and over. No swimming shorts. Swimming caps are not required, but long hair should be tied back. 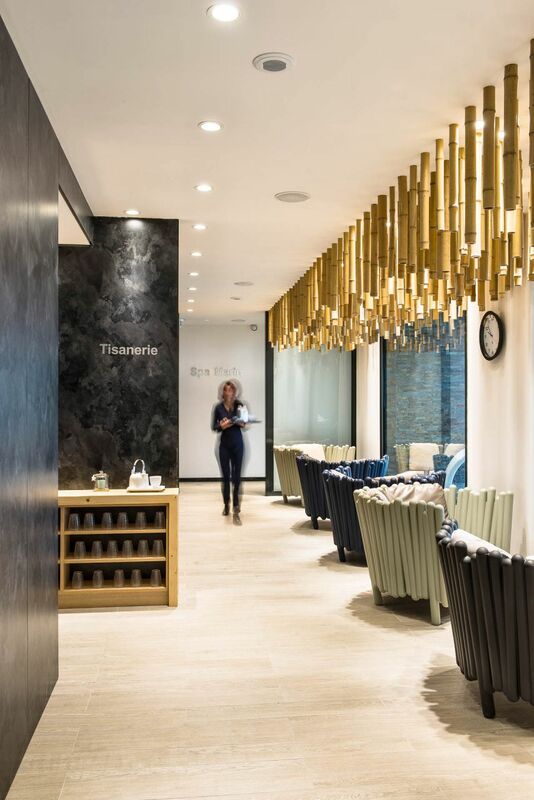 Like the walled town of Concarneau itself, the Thalasso Centre was designed as a haven where visitors are given the space to find peace of mind. 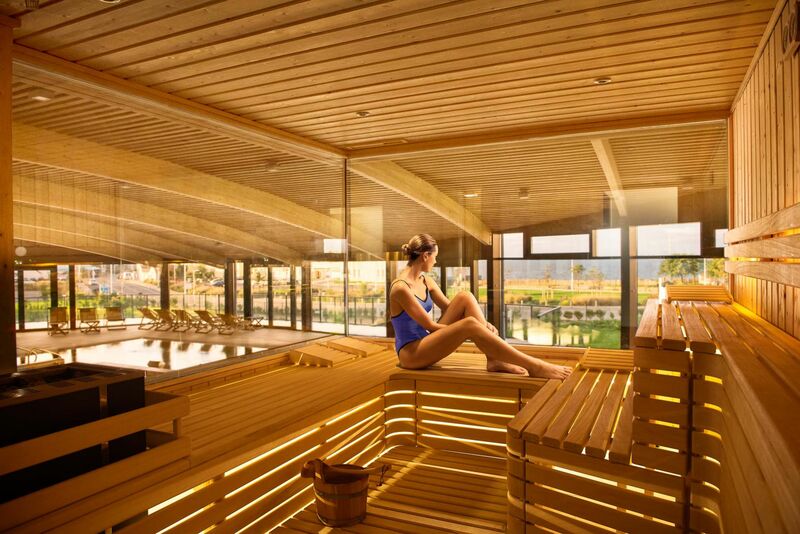 Everything you need to take care of yourself is here: a sauna with panoramic views, and a marine spa with elegant wood and stone interiors, overlooking the bay. 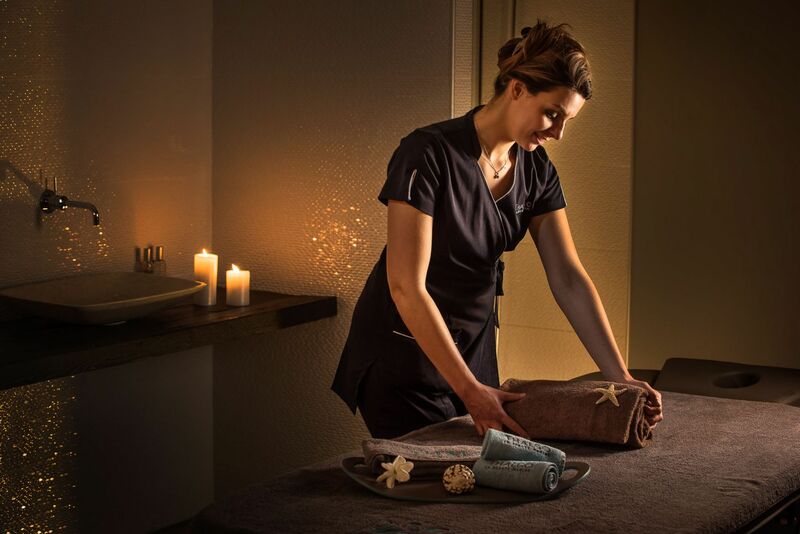 Setting a new standard of excellence for thalasso treatments: sensory journeys, marine vitality, tonic silhouette, and its exclusive "Outing to Concarneau" programme.